Pattern #H45. 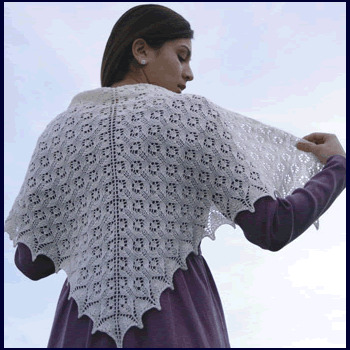 Ring of Lace is an airy, lightweight circular wrap that can be worn in a variety of ways. 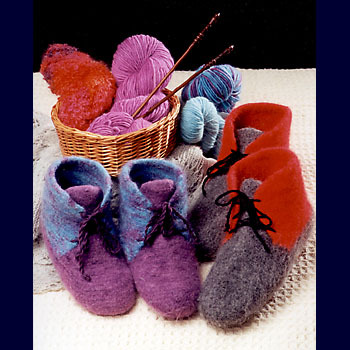 This design is an example of how a project in hand-dyed yarn can be planned according to the length of color repeat to create 'faux ikat' effects. 450 yards of hand dyed lace weight yarn with a color repeat of 54 inches, makes a 63 x 10 inch wrap. 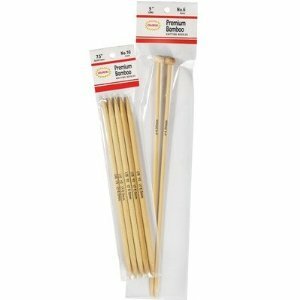 Size US #2.5 (3 mm) knitting needles. Size 10 US (6 mm) circular 24 - 36 inch length. Size H (5 mm) crochet hook optionally used for crochet bind off.